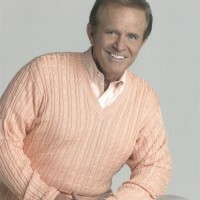 For four decades, Bob Eubanks wrote television history as host of the incredibly successful The Newlywed Game. Along with The Newlywed Game, Bob has served as the genial host for game shows on all three networks, including Rhyme and Reason and Trivia Trap for ABC, Card Sharks for CBS, and Dream House and Family Secrets for NBC. Currently Bob can be seen four times a day on Sony’s Game Show Network. 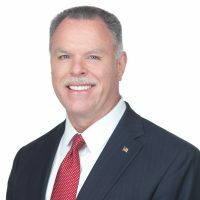 Eubanks has also hosted Prime Time Country for the Nashville Network and is currently hosting Powerball, The Game Show for the Multi-State Lottery Association and Jonathan Goodson Productions. During his stellar career, Bob Eubanks has produced television shows for the syndicated market and all three major networks. Producer credits include The Toni Tennille Show, Buddy Hackett’s You Bet Your Life, All Star Secrets, The Guinness Game, and Infatuation. Along with television, he has also participated in the production of the motion pictures Payback and Forced To Kill. In 1964, Bob Eubanks borrowed $25,000 on his house and produced The Beatles at the Hollywood Bowl Concert. This marked the beginning of a 20-year concert promotion career that included The Beatles, The Rolling Stones, Barry Manilow, Elton John, and Bob Dylan, just to name a few. During that time, Eubanks became one of the largest concert promoters in America, producing over 100 concerts per year nationwide. In 1972, the country music industry beckoned and Bob began managing the careers of Dolly Parton, Barbara Mandrell, and Marty Robbins. It was during that time that he also signed Merle Haggard to an exclusive live performance contract. Each year Bob can be seen on the Tournament of Roses New Year’s Day Parade for Tribune Broadcasting. 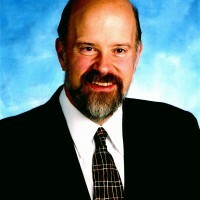 His multiple Emmy Award winning coverage traditionally receives a fifty plus share, making it one of the highest-rated television shows in Southern California, many years surpassing the ratings of the Super Bowl and Academy Awards. Bob Eubanks has now launched a new career as he takes his forty years experience in the entertainment industry and begins speaking to corporate America. His presentation, It’s All About People, is a highly entertaining and humorous look at maintaining a balance between people skills and the rapid growth of technology. In the January 27th, 2001 issue of TV Guide, Bob was voted one of the top five game show hosts of all time and on December 29, 2000, Bob was honored by the entertainment industry as he received a star on the Hollywood Walk of Fame. His star is in front of the Egyptian Theatre on Hollywood Boulevard where, as a young man, he worked as a doorman and opened limousine doors for such stars as Elizabeth Taylor, Gary Cooper, and Debbie Reynolds. Eubanks’ career has gone full circle from usher to being the recipient of one of Hollywood’s most prestigious awards.